Gator Torso Vibration During Mating Display, Gatorland, Kissimmee, Florida. 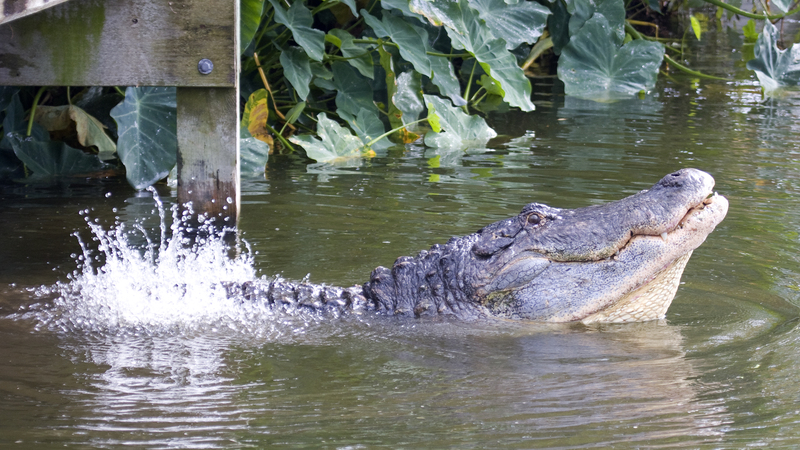 Male alligator inflates himself and rises up in water bellowing. Then he drops down and vibrates torso, causing water to bubble up on his back. Quite impressive!